I’ve been meaning to write up a pattern for this quilt for Atti’s entire life, but it’s OK that I put it off because now I have it to share for a day like today – between project finishes, working on stuff I can’t share, laid up with a bum knee. I’m sure you’ll recognize this quilt, it’s in nearly every picture I take of Atti. Finished size is 36″ wide x 46″ high. Cut 12 pieces of light colored fabric 7″ x 10 1/2″. If your fabric has a definite top and bottom to the pattern, then you’ll want to cut 6 pieces 7 x 10 1/2, and 6 pieces 10 1/2 x 7, so that you can turn them how you’ll need to without things looking funny. Machine applique your letters onto your blocks. I start by printing my letters off on the computer. I chose a basic sans serif font, something like Ariel would work well, and increased the font size until the letters were about 4 1/2″ tall. 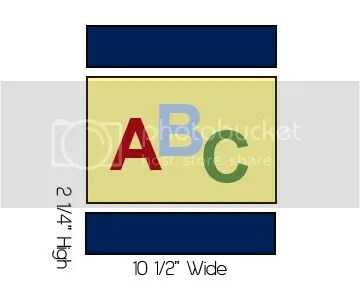 Two of your blocks (ABC, and XYZ) will have to fit three letters instead of two, so I made those letters 3 1/2″ tall. Iron a piece of fusible web onto the fabric for the applique, and then cut out using your printout as a pattern. Iron the letters onto your block, and applique in place using a zigzag stitch set to a short stitch length. You’ll need to use a stabilizer so things don’t pucker up on you. You can shell out the cash for a fancy one, but I just always use a coffee filter here. You can see this with pictures on this tutorial. 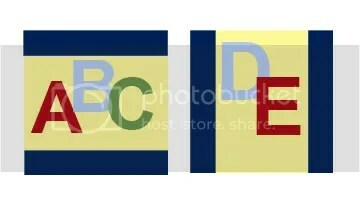 Remember as you arrange your letters to alternate the direction of the blocks. 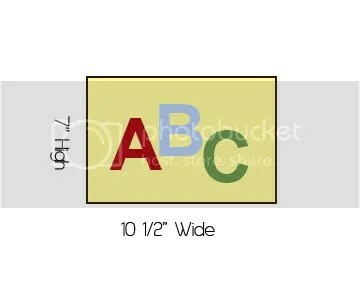 ABC is horizontal, DE is vertical, FG is horizontal, HI is vertical, JK is horizontal, you get the idea. Cut 24 pieces of sashing 2 1/4″ x 10 1/2″. 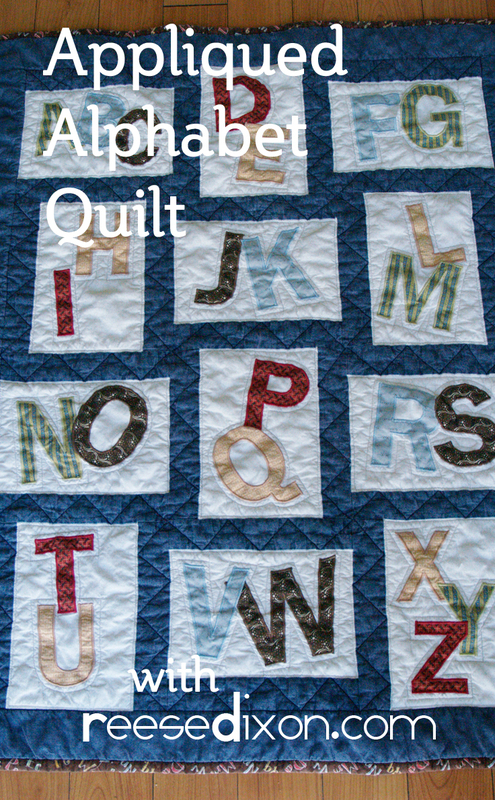 Sew one sashing strip to the long sides of each alphabet block. Then sew your alphabet blocks together. Once all your blocks are together, add a 3″ border around the entire quilt top. I kept the quilting really simple on this, mainly because it was my first try at machine quilting. I did a simple zig zag pattern on the sashing, and then inside each block I quilted around each letter. This quilt, along with the matching bumper I made, got me so hooked on machine applique. After this I started making those burp rags, and I’m toying around with doing it on the 12 Days of Christmas tree skirt I have on the agenda. It’s one of those things that seems so much harder than it actually is. You just have to play around with your stitch settings, and then practice going around curves. By the time you’re done with this quilt, you’ll be a pro.